For example, while it takes 54.5 micromolar (μM) of miltefosine to arrest the growth of half the amoebae growing in a dish, it only took 5.8 μM of tamoxifen and 31.8 μM of Prozac. Tamoxifen and Prozac inhibit two different enzymes in N. fowleri’s sterol biosynthesis pathway. 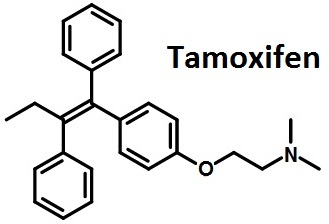 When the researchers combined a lower dose of tamoxifen with drugs that inhibit other enzymes in the sterol biosynthesis pathway, they were able to inhibit the growth of 95 percent of N. fowleri. In other words, combination treatment allowed them to inhibit more of the pathogen using lower drug concentrations.